Living in Honolulu Hawaii is a dream come true – and many people work from home. Take full advantage of where you live and create a home office that works with the elements to optimize your productivity potential. Here are five ways to enhance creativity and focus when designing your custom home office here in Hawaii. Whether you’re an artistic creative who wants an open, collaborative studio space or you need a quiet, cozy corner office, it’s crucial to design an office space that works for you (without the typical desk and office chair if that isn’t your style). Perhaps you want something more inclusive of the whole family, so having multiple workstations for homework and bill paying is key. Think about your goals, first. Once you’ve figured out what kind of office you want, think about how you want to organize your items. Custom designed bookshelves, counter surface areas and lower desk cabinets conceal home office supplies and technology, corralling cord clutter. Concealed storage helps with miscellaneous items and shelving helps display awards, artwork and more. If you have a smaller home, sometimes you have to get more creative with your home office space. Make it a multipurpose room – for example a guest room/home office or living area/home office. This takes the stress out of cramming your space together and instead invites a relaxed, creative space into your home. A Murphy bed solution is used to accomplish this for guests. You can’t have a successful home office without having some organization systems put in place. Floating shelves to display collectibles, a keyboard tray or sliding drawer, upper storage cabinets, shelves, drawers and bookshelves keep everything in their proper place, and gives you plenty of areas to organize your items. 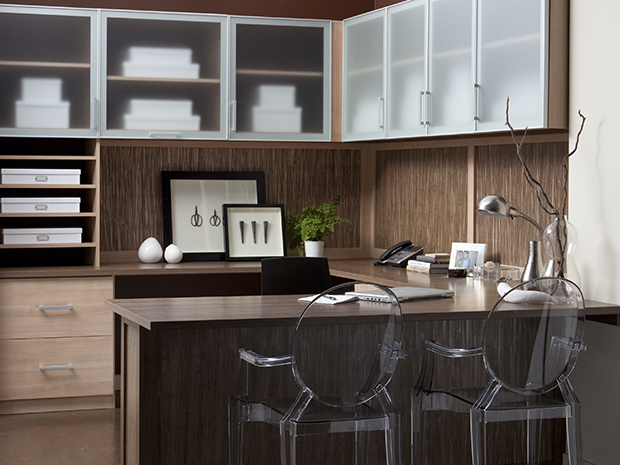 When envisioning and creating your dream home office, sometimes it takes a village. 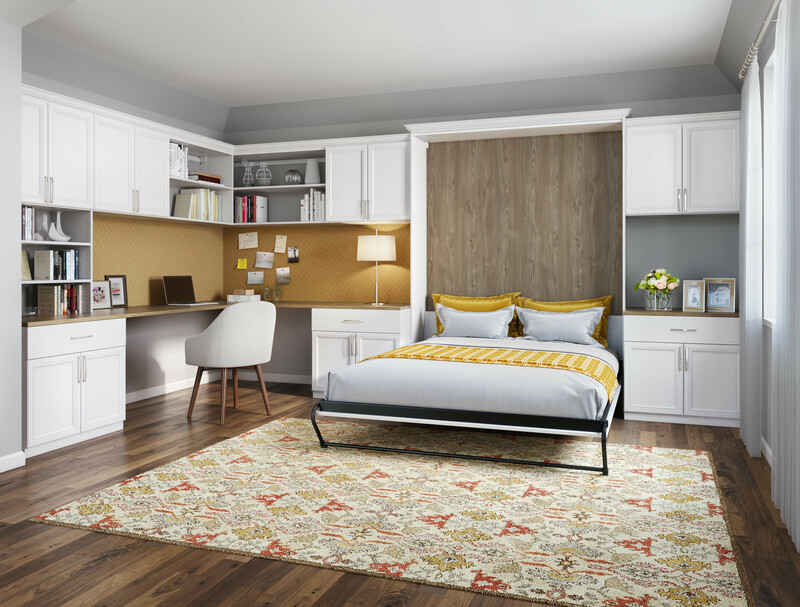 Rely on the experts from California Closets to help you achieve your design and budget goals, so you have a productive place to work at home. 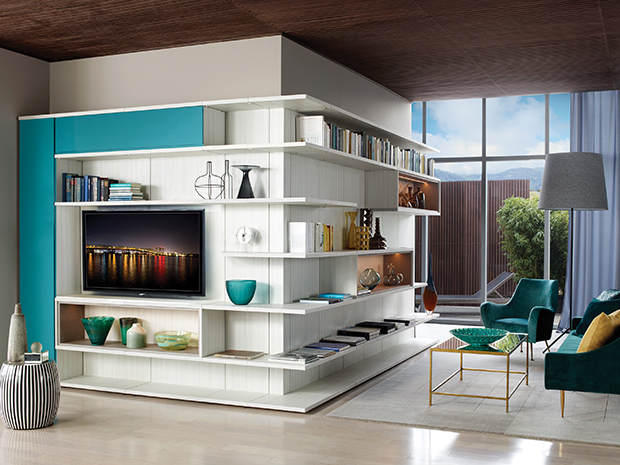 To get started on your home office renovation, visit the Kahala showroom or schedule your very own in-home expert design consultation with our Honolulu California Closets team. 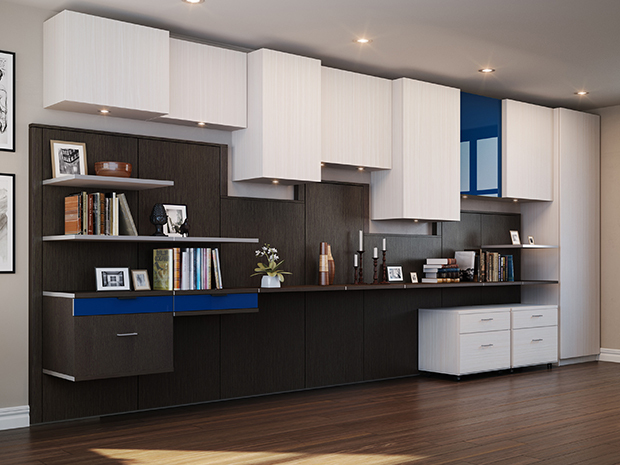 Featured on Houzz, California Closets has been the leader in design and storage design for nearly four decades.